So many unique and beautiful custom creations this week! Not only are each one of these rings completely different, but so are each of the diamonds. 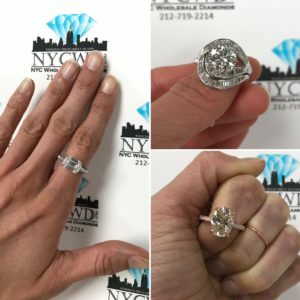 That’s what we do here at NYCWD…We take your budget and what is most important to you to find your perfect stone, then make your dream ring! Contact NYC Wholesale Diamonds for your private appointment.